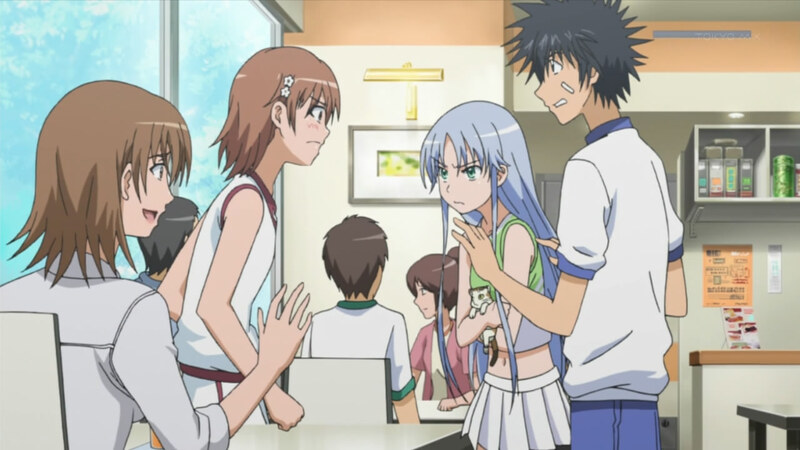 With nothing to do, Touma heads to lunch with Index, and there he finds his parents with Mikoto and her mother, Misuzu Misaka. By episode 10, Index II has finally found its groove, and each episode seems to continue the same quality that has been present since this arc started. I quite enjoyed this episode, even if I felt that it was kind of short. I’m sure quite a bit of content was cut out from the novels, and I’m wondering if Index would be better served as a 1-hour, 24 episode series rather than the current 24 minutes (Including the OP, ED and Preview XD). So… Touma and Tsukimiadono finally caught up to Oriana, and Touma proceeded to engage her while Tsukimiadono rolled on the floor being useless XD. 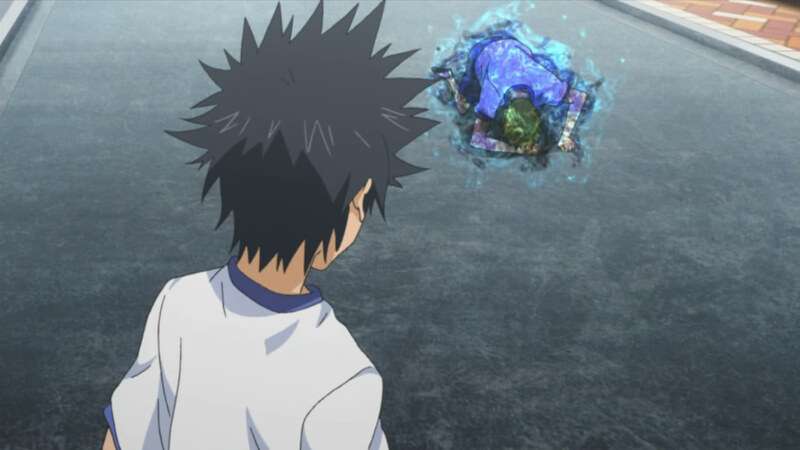 An intense battle went through, and I really enjoyed how Touma tried to figure out Oriana’s trick behind her powers, but just wasn’t given enough time. I’m guessing he’ll find it out later on. An interesting thing to note though, is that Oriana tried to cancel out her spell as he approached her, which leads me to think that she’s not all bad, beyond that “older sister slutty” image she has going. I think the fact that Touma openly punching every woman he dislikes is becoming a running joke for bloggers who blog this series. XD Although, The joke proceeded to be on Touma when all he was left with was a Candy store sign. 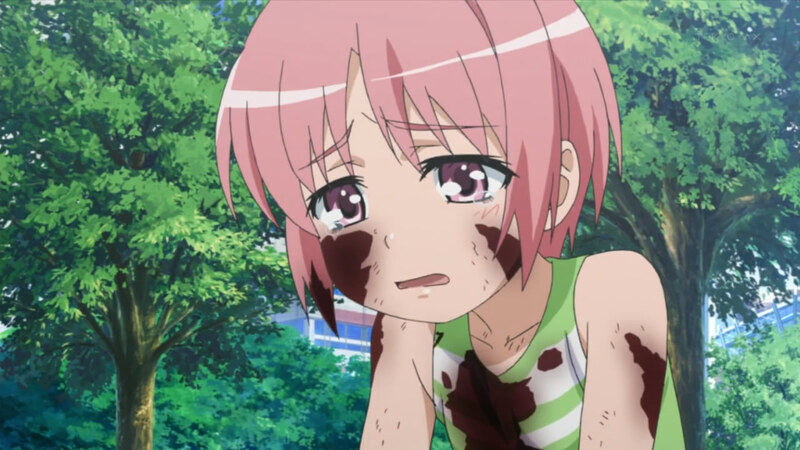 We got a bit of fanservice this episode again, as we saw Oriana’s shirt open up when she was knocked punched by Touma, and a “changing scene” soon after. After Touma and co fail, the Angelican Church receives new information that makes the Stab Sword an even more dangerous entity. I find it interesting, and somewhat silly, that a cross can dictate who can own and control a piece of land, especially a huge chunk of it like Academy city. I do get the implications, and it would indeed overpower the Roman Catholic Church if they did have Academy city… but honestly… a FRIGGIN cross will allow them to do it? I just don’t see everyone bending over backwards just because of one cross. It does raise the stakes quite a bit though. What I don’t understand is this whole: “Everyone will be happy” thing that Oriana and even Stiyl refers to. I’m sure we’re missing some vital piece of information that puts that whole phrase into context, because from what I know… Everyone being happy is a GOOD thing, balance of Science and Magic be damned! 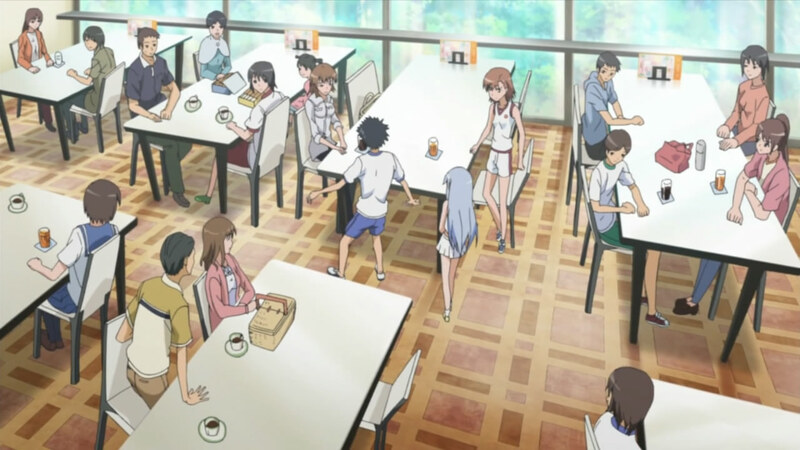 With no leads to go by, Touma decides to meetup with Index and his parents for lunch. 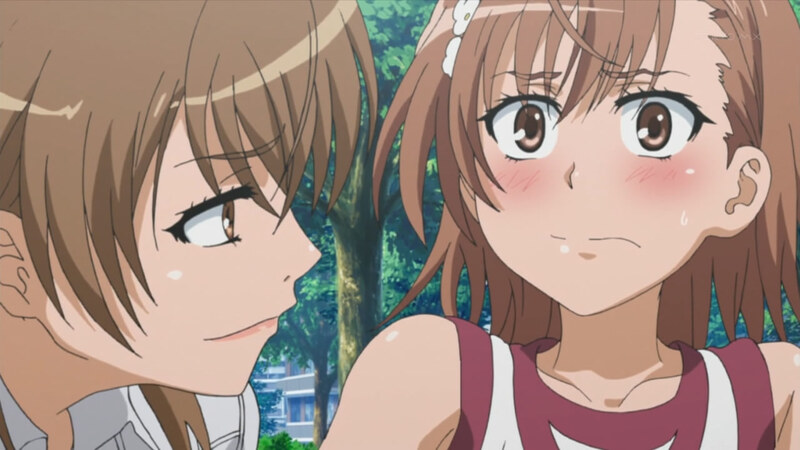 This indeed was a rather hilarious scene, mostly because Mikoto and her mom are there as well. 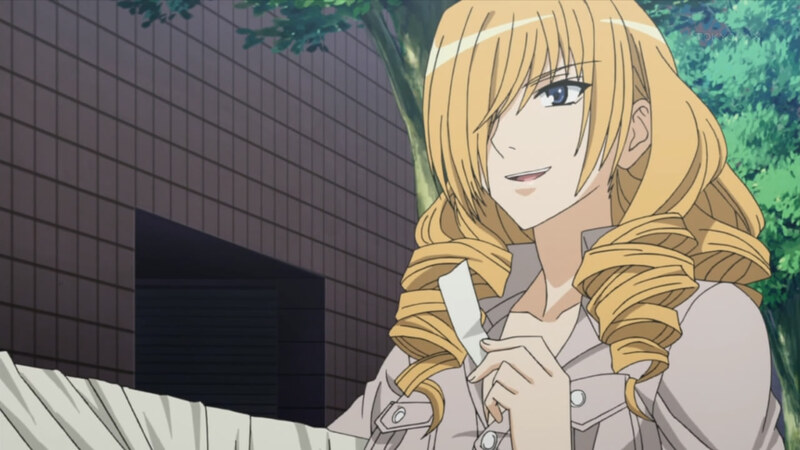 I gotta be honest, Mikoto’s mom, beyond being a hot, young woman, is friggin funny and adds some good comedy to the mix. 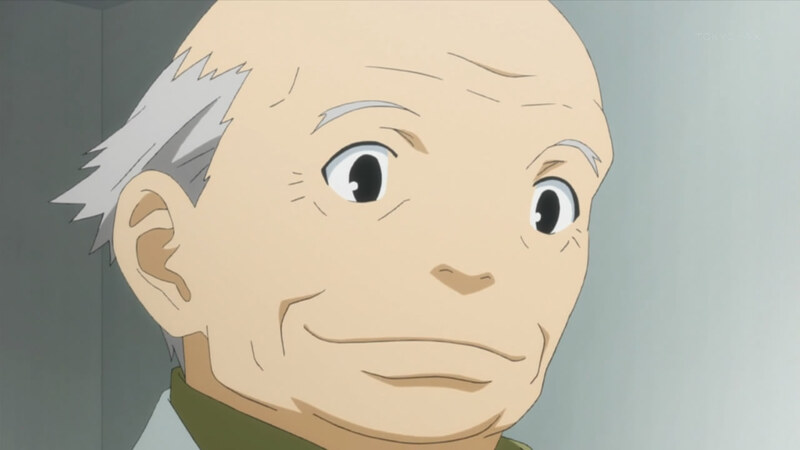 The whole scene with them running into Touma’s parents was awesome. 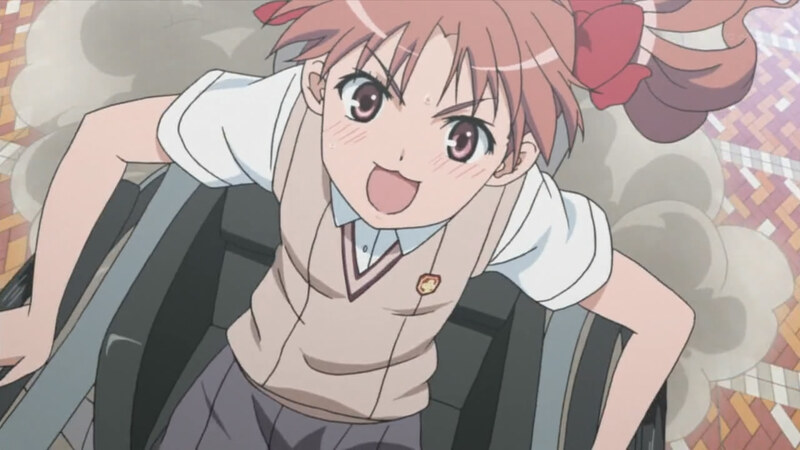 I chuckled at the part where Misuzu Misaka asked her daughter to show some “appeal” to the parents of the boy she liked. 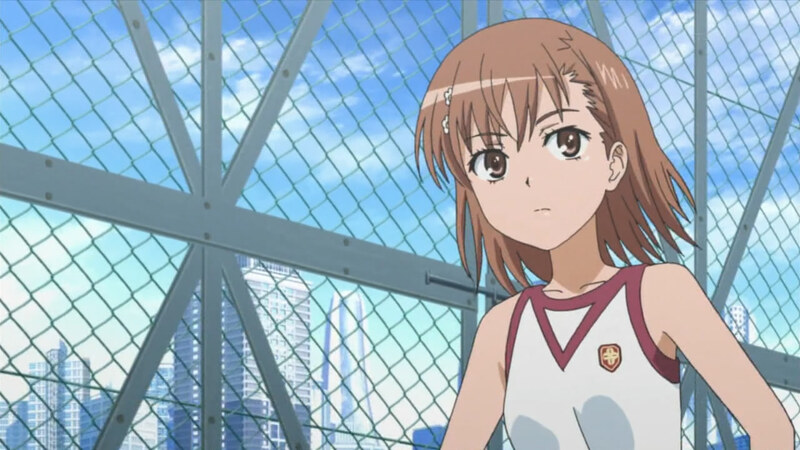 Of course, what was really interesting was the squabble that Index and Misaka had over Touma infront of both Touma’s parents and Mikoto’s mother. I am glad that someone FINALLY questioned the fact that Index hanging around Touma is kind of… weird. I wonder how everyone would have reacted if they knew that she LIVED with Touma in his small apartment.